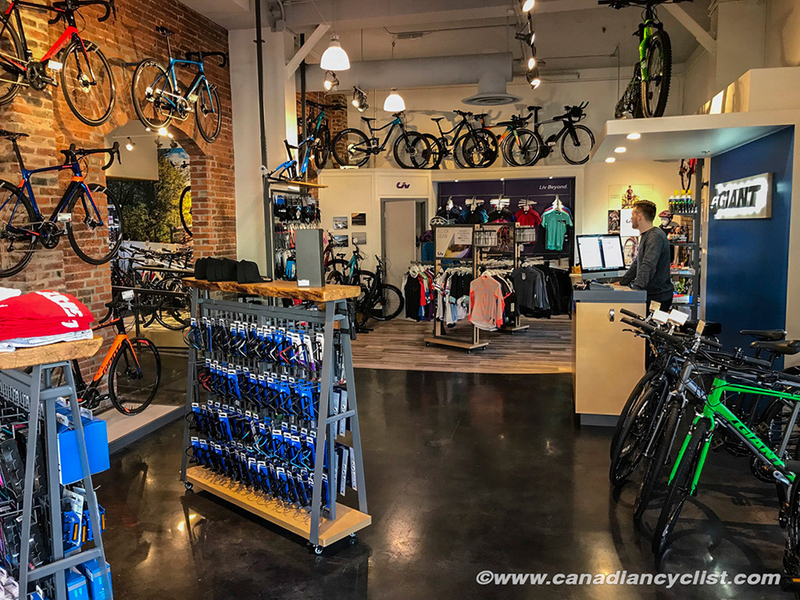 One of the first time award winners for our Canadian Cyclist Best Bike Shops in voting at the end of last year was Giant Victoria - the only shop on Vancouver Island to be selected. We dropped by to visit them while we out for the Bear Mountain Canada Cup event. The shop will celebrate its second anniversary this month, and has become a popular spot in downtown Victoria, on the corner of Yates Street and Broad Street, in an old hospital. 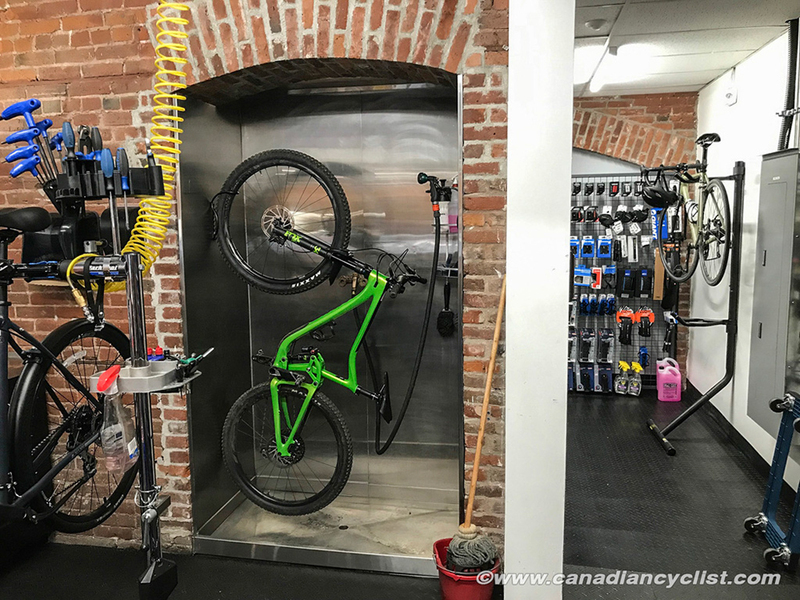 The 3000 square foot space (plus a further bike storage area upstairs) is bright and clean looking, with exposed brick on many of the walls. There are separate sections for Liv (Giant's women's line), road, urban/hybrid, mountain and electric bikes, plus a service area that is visible to the public. One of the coolest features is a bike shower in the service area - I want one of these in my house! 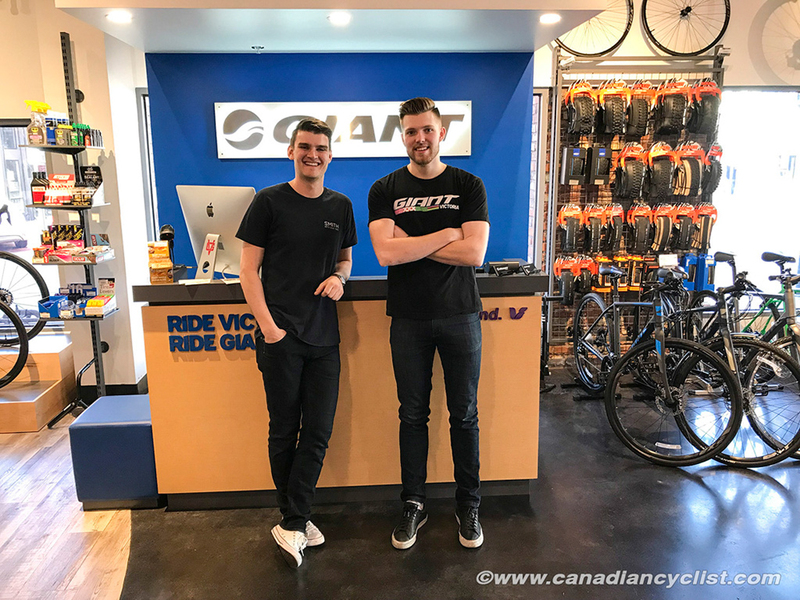 Owner Tyson Schley and manager Dylan Phye were both previously at Arrowsmith Bikes in Parksville, and Giant reached out to that shop when they were looking to open a dedicated store in Victoria. The store has five staff currently. Dylan says that their biggest market is urban and road bikes, given the extensive network of bike paths in the Victoria area and number of commuters. It accounts for roughly 60% of their business, with road and mountain filling in the rest. 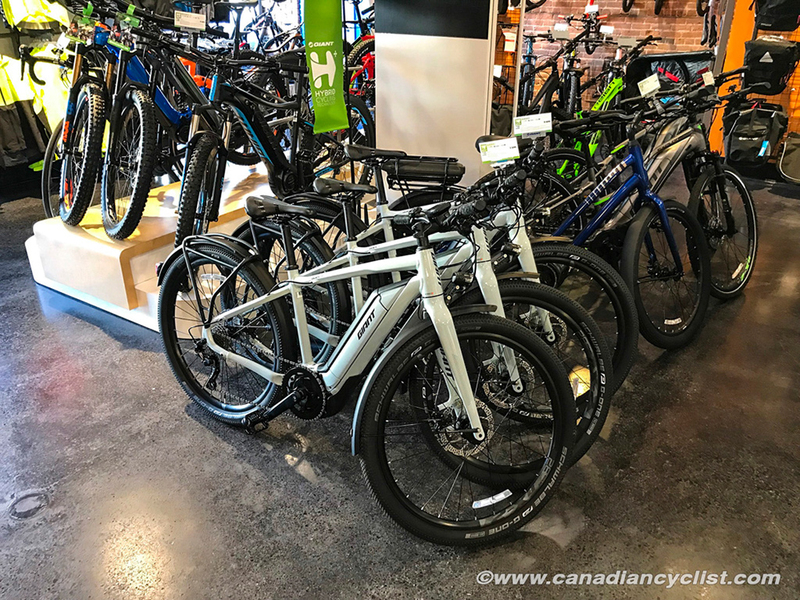 One segment that is growing rapidly is ebikes - Giant has 17 models and they carry eight in stock; Dylan says that during the busy season they are seeing an average of one ebike sold per day, with the majority the commuter/recreational models. They also made the decision to just service Giant brand bikes, because that more than keeps their shop busy. 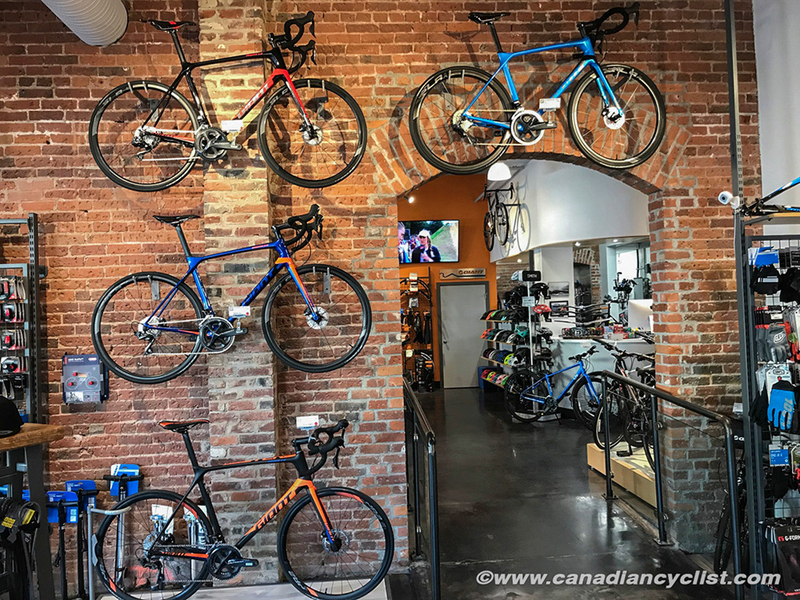 While they only sell Giant brand bikes, they carry a number of other brands for accessories and clothing, including Giro, Smith, Axiom and Maap clothing. 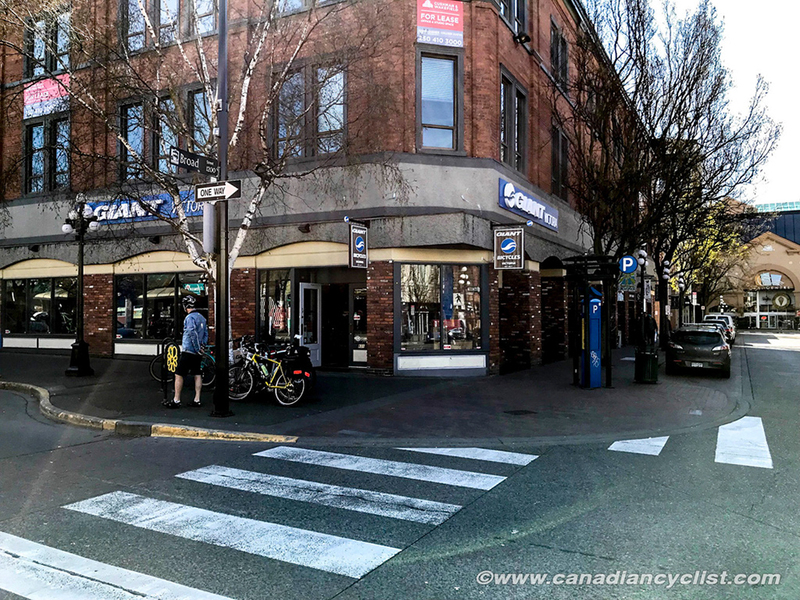 Congratulations to Giant Victoria on becoming a Canadian Cyclist Best Bike Shop! • The guys there are great. They really took the time to listen to my needs and wants, and were able to get me into the perfect bike for what I asked for. Follow up service is top notch with them always able to squeeze me in if something needs to be done on short notice. A true LBS, a great crew if you just want to go and visit as well. • Very knowledgeable, great customer service, great staff, honest, no high pressure sales. • They are super friendly and really make you feel connected to the community. The guys are great and can really relate to your experiences. Also great prices and I already love the brand. • 10/10 service - the staff always go above and beyond and are not just about making sales. They will recommend other places if they don't have the item you are looking for and also spend quality time with you to make sure they understand your needs and wants. Honest, hardworking and easy to talk to! • Always there for assistance, got the whole family a set of bikes at a very reasonable price, has a slick repair area and bike wash.
• The staff is amazing, they are so helpful and not pushy at all. The selection of products is amazing too. The store is super clean and well laid out. I can't rave about it enough.